The need for developing the necessary Agile Talent within organizations is increasing each and every day. There are many influencing factors for this need: the talent shortage and the need for businesses to work with an increased speed. This results in new skill requirements for the workforce and the increased need for knowledge workers to focus on soft skills. 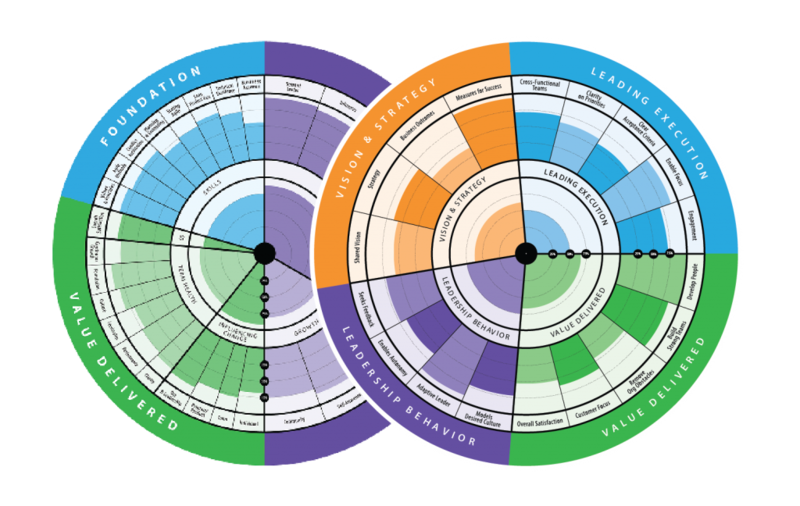 As organizations embrace Agile & Lean principles, the skills of the workforce change, with decentralized decision making, a focus on building high performing teams, and a better understanding of transition to Agile roles. Future trends are moving towards creativity, problem solving, interpersonal skills, leadership and emotional intelligence – analytical skills and learning mindset. In this i4cp 2019 Talent Predictions blog & whitepaper, they discuss the predictions for the coming year. Employees want to understand how their role in an Agile environment differs from their former role in a traditional environment. 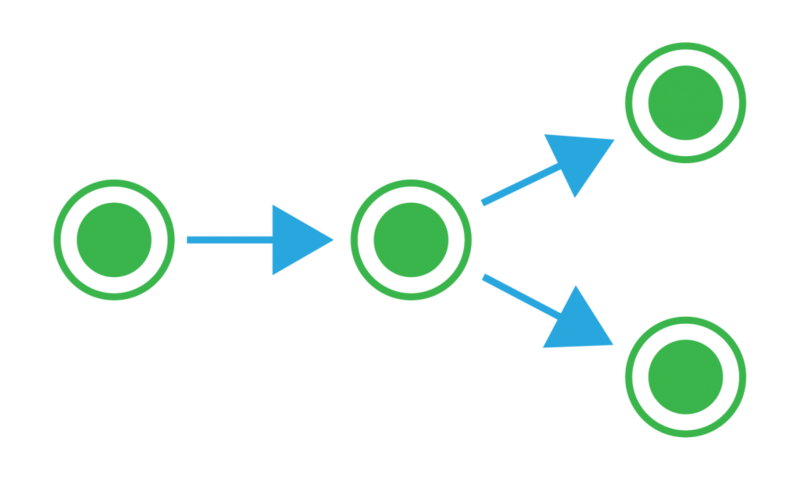 In Agile, our mindset is one which needs to be comfortable with some ambiguity. Gone are the days that spell out a detailed checklist of exactly what must be done. Instead, employees need to be comfortable with a deeper understanding of their role, along with the Agile mindset and critical thinking skills to help them achieve their ultimate objectives and continue to grow their unique talents. HR Talent Development needs to adjust to provide resources that will help build skills that align with this mindset. Building an individual role specific learning roadmap for our team members is imperative. Keep in mind, this needs to align the individuals desires with the needs of the organization. The goal is to dive deeply into what the individual needs in order to be successful in their current role, achieve that and guide them into the learning roadmap for their future within the organization. We initially need to understand where the individual stands in terms of meeting the expectations for the role they are currently serving in. From there, we can develop a clear path for growth which will include training, coaching, self-paced learning, mentorship, experimental practice, etc. Each role within the organization should have a learning roadmap, individualized for that person. There is not a one size fits all solution for this, however, our HR teams can help with guidance, templates, assistance and resources the individuals can lean on to pull their learning roadmap together. We need to be asking ourselves: What’s the learning path for this role? How will you measure competency maturity? See the details discussed below. How will we create a community to support them? How will we enable self-learning? What tools/infrastructure changes are needed to support these? Measuring the performance of the individual role in alignment with the health of all the roles on the team and the health of the team itself is vitally important in the context of our overall growth strategies for talent. The health and performance of the individual in conjunction with the health of the others on the team works hand in hand in the overall health of the team. How should we measure? Take a look at the individual role-based radars within AgilityHealth. Our support center defines the details surrounding the actual steps included in executing these radars within your teams. In this example, the Leader has sent this assessment to her peers, direct reports and key stakeholders. The results report summarizes the input, provides both quantitative and qualitative analytics, her highest and lowest competencies and draft of the growth plan she is working through with her Executive Leadership Coach. Each individual needs an infrastructure to support their self learning. 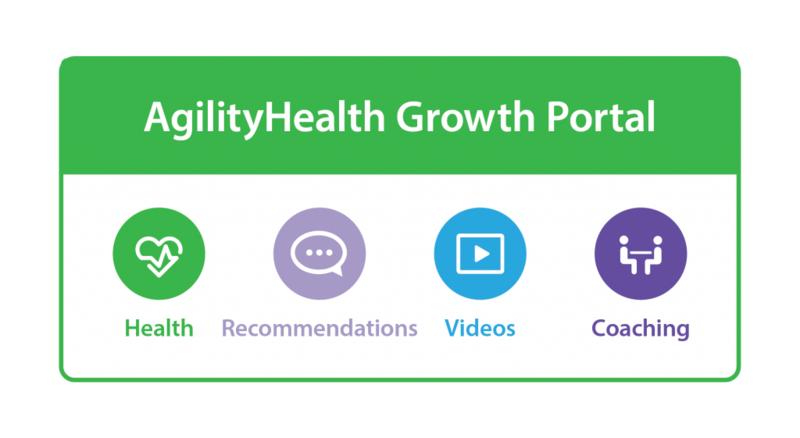 We have developed the AgilityHealth Growth Portal to serve that need. This portal enables the individual to take control of their learning. It provides recommendations for them in the their areas of need, provides self learning modules in the form of videos, reference materials, training classes available and the ability to find a coach to walk them through it. They can tailor their individual self-learning to their learning style! Creating a growth plan that outlines the specific actions that the individual plans to take will help to create a feeling of accountability and motivation to stay on track. The growth plan will provide a means for the individual to track their progress, learn from their experiences, and measure their growth over time. More detailed information related to the Growth Portal can be found here in this example. People learn in different ways and each individual (and team) needs a learning plan tailored to them. The individual leads their own planning and develops a plan that works best for their individual learning style, while providing the structure to support the varying learning styles. What do I need to do to be successful? As Human Resource Leaders, we are empowered and accountable for defining a successful strategy for our organization’s Agile Talent Growth Strategy. In partnership with our enterprise teams, we can make this happen. 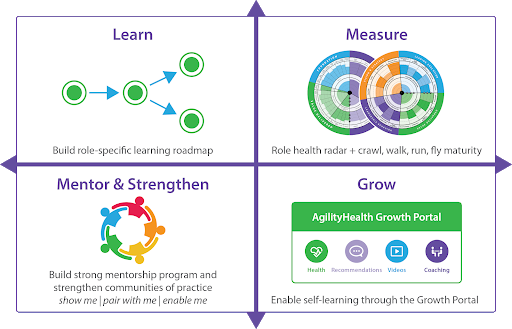 By partnering together to build learning roadmaps, measuring the health of each individual and team, enabling self-learning and iterating on these plans in partnership with one another, we can ensure we are actively and intentionally developing an Agile Talent Growth Strategy that will carry our people, our teams and our organizations into the future.